Happy Saints: NEW! Works of Mercy eBook - 10% Launch Discount! 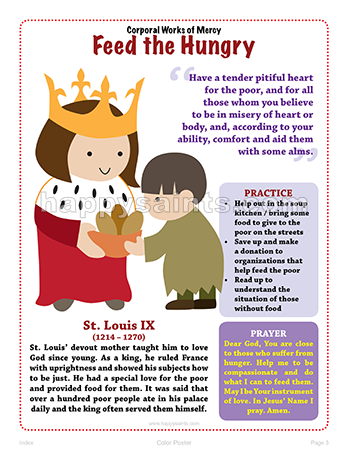 It’s the Year of Mercy and Lent is coming soon! Happy Saints Works of Mercy eBook! 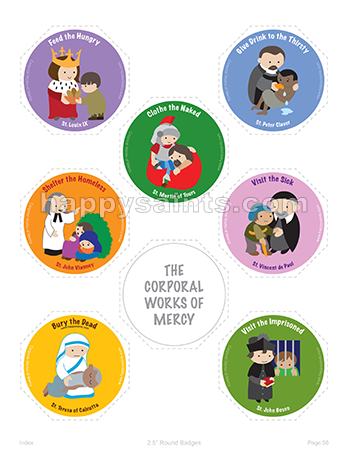 This special edition ebook features 14 artworks of the corporal and spiritual works of mercy as practiced by the Saints of God; in printable posters, prayer cards, greeting cards, coloring pages and badges for the Year of Mercy, Lent and other occasions.